Consider some excellent lesson models for teaching vocabulary, explaining idioms, fostering word consciousness, instruction for English Language Learners, and mnemonic strategies. The National Reading Panel (2000) concluded that there is no single research-based method for teaching vocabulary. From its analysis, the panel recommended using a variety of direct and indirect methods of vocabulary instruction. According to the National Reading Panel (2000), explicit instruction of vocabulary is highly effective. To develop vocabulary intentionally, students should be explicitly taught both specific words and word-learning strategies. To deepen students' knowledge of word meanings, specific word instruction should be robust (Beck et al., 2002). Seeing vocabulary in rich contexts provided by authentic texts, rather than in isolated vocabulary drills, produces robust vocabulary learning (National Reading Panel, 2000). Such instruction often does not begin with a definition, for the ability to give a definition is often the result of knowing what the word means. Rich and robust vocabulary instruction goes beyond definitional knowledge; it gets students actively engaged in using and thinking about word meanings and in creating relationships among words. Research shows that there are more words to be learned than can be directly taught in even the most ambitious program of vocabulary instruction. Explicit instruction in word-learning strategies gives students tools for independently determining the meanings of unfamiliar words that have not been explicitly introduced in class. Since students encounter so many unfamiliar words in their reading, any help provided by such strategies can be useful. Word-learning strategies include dictionary use, morphemic analysis, and contextual analysis. For ELLs whose language shares cognates with English, cognate awareness is also an important strategy. Dictionary use teaches students about multiple word meanings, as well as the importance of choosing the appropriate definition to fit the particular context. Morphemic analysis is the process of deriving a word's meaning by analyzing its meaningful parts, or morphemes. Such word parts include root words, prefixes, and suffixes. Contextual analysis involves inferring the meaning of an unfamiliar word by scrutinizing the text surrounding it. Instruction in contextual analysis generally involves teaching students to employ both generic and specific types of context clues. A more general way to help students develop vocabulary is by fostering word consciousness, an awareness of and interest in words. Word consciousness is not an isolated component of vocabulary instruction; it needs to be taken into account each and every day (Scott and Nagy, 2004). It can be developed at all times and in several ways: through encouraging adept diction, through word play, and through research on word origins or histories. According to Graves (2000), "If we can get students interested in playing with words and language, then we are at least halfway to the goal of creating the sort of word-conscious students who will make words a lifetime interest." One principle of effective vocabulary learning is to provide multiple exposures to a word's meaning. There is great improvement in vocabulary when students encounter vocabulary words often (National Reading Panel, 2000). According to Stahl (2005), students probably have to see a word more than once to place it firmly in their long-term memories. "This does not mean mere repetition or drill of the word," but seeing the word in different and multiple contexts. In other words, it is important that vocabulary instruction provide students with opportunities to encounter words repeatedly and in more than one context. Intentional instruction of vocabulary items is required for specific texts. Learning in rich contexts is valuable for vocabulary learning. Vocabulary tasks should be restructured as necessary. Vocabulary learning should entail active engagement in learning tasks. Computer technology can be used effectively to help teach vocabulary. Vocabulary can be acquired through incidental learning. How vocabulary is assessed and evaluated can have differential effects on instruction. Dependence on a single vocabulary instructional method will not result in optimal learning. It is often assumed that when students do not learn new vocabulary words, they simply need to practice the words some more. Research has shown, however, that it is often the case that students simply do not understand the instructional task involved (National Reading Panel, 2000). Rather than focus only on the words themselves, teachers should be certain that students fully understand the instructional tasks (Schwartz and Raphael, 1985). The restructuring of learning materials or strategies in various ways often can lead to increased vocabulary acquisition, especially for low-achieving or at-risk students (National Reading Panel, 2000). According to Kamil (2004), "once students know what is expected of them in a vocabulary task, they often learn rapidly." The scientific research on vocabulary instruction reveals that most vocabulary is acquired incidentally through indirect exposure to words. Students can acquire vocabulary incidentally by engaging in rich oral-language experiences at home and at school, listening to books read aloud to them, and reading widely on their own. Reading volume is very important in terms of long-term vocabulary development (Cunningham and Stanovich, 1998). Kamil and Hiebert (2005) reason that extensive reading gives students repeated or multiple exposures to words and is also one of the means by which students see vocabulary in rich contexts. Cunningham (2005) recommends providing structured read-aloud and discussion sessions and extending independent reading experiences outside school hours to encourage vocabulary growth in students. An increasing number of students come from homes in which English is not the primary language. From 1979 to 2003, the number of students who spoke English with difficulty increased by 124 percent (National Center for Education Statistics, 2005). In 2003, students who spoke English with difficulty represented approximately 5 percent of the school populationup from 3 percent in 1979. Not surprisingly, vocabulary development is especially important for English-language learners (ELLs). Poor vocabulary is a serious issue for these students (Calderon et al., 2005). ELLs who have deficits in their vocabulary are less able to comprehend text at grade level than their English-only (EO) peers (August et al., 2005). Findings indicate that research-based strategies used with EO students are also effective with ELLs, although the strategies must be adapted to strengths and needs of ELLs (Calderon et al., 2005). Diane August and her colleagues (2005) suggest several strategies that appear to be especially valuable for building the vocabularies of ELLs. These strategies include taking advantage of students' first language if the language shares cognates with English, teaching the meaning of basic words, and providing sufficient review and reinforcement. Because English and Spanish share a large number of cognate pairs, the first instructional strategy is especially useful for Spanish-speaking ELLs. These students can draw on their cognate knowledge as a means of figuring out unfamiliar words in English. A second instructional strategy for ELLs is learning the meanings of basic wordswords that most EO students already know. Basic words can be found on lists, such as the Dale-Chall List (Chall and Dale, 1995). A third instructional strategy that ELLs particularly benefit from is review and reinforcement. These methods include read-alouds, teacher-directed activities, listening to audiotapes, activities to extend word use outside of the classroom, and parent involvement. An idiom is a phrase or expression in which the entire meaning is different from the usual meanings of the individual words within it. Idioms are fun to work with because they are part of everyday vocabulary. Students enjoy working with figurative meanings, as well as imagining possible literal meanings for the expressions. They also enjoy finding out about the origins of idiomatic expressions, some of which are very old. Introducing idioms by topic can make them easier for students to remember. This sample lesson model focuses on introducing idioms that make use of animals or animal comparisons. Tell students that an idiom is an expression that cannot be fully understood by the meanings of the individual words that are contained within it. The meaning of the whole idiom has little, often nothing, to do with the meanings of the words taken one by one. Point out to students that idioms are often used in writing or speech to make expression more colorful and that some of the most colorful English idioms make use of animals or animal comparisons. Explain that many idioms have interesting origins that may not make literal sense to us today, but made perfectly good sense during the times in which they were coined. Tell students that the expression "to hold your horses" is an idiom. Demonstrate its literal meaning by holding a bunch of small plastic toy horses in your hand. Tell students that when someone tells you "to hold your horses" it would be silly to think that they wanted you to hold a bunch of horses in your hand. The whole expression "to hold your horses" actually means "to slow down, wait a minute, or be more patient." For example, if you were impatiently waiting for your sister to get off the phone, your sister might say to you, "Hold your horses. I'll be off the phone in a minute!" Tell students that "to be raining cats and dogs" is another idiom. Ask students whether, if someone said it's "raining cats and dogs," they would expect to look up and see animals falling from the sky. Then explain to them that "raining cats and dogs" is used to describe when it's raining really heavily or really hard. Ask volunteers to describe a time they remember when it was "raining cats and dogs." Ask students to draw pictures of the literal meaning of either "to hold your horses" or "to be raining cats and dogs." Then have them take turns showing their illustration and using the idiom correctly in a context sentence. Tell students that they are going to work together in groups to make a drawing of an animal idiom's literal meaning and then act out its real, or figurative, meaning. They will see if the drawings and skits they make provide enough information for their classmates to figure out what the idiom really means. To begin, select a group of three students to demonstrate the activity. Tell this group that their idiom is "to let the cat out of the bag" and that this idiom means "to give away a secret." Divide the group tasks as follows: One student will draw the idiom the way it would look if it meant literally what it said: by drawing a sketch of a cat leaping out of a paper bag. This student labels the drawing with the idiom, "to let the cat out of the bag." The other two students develop a brief skit about the figurative meaning of the idiom: "to give away a secret." For example, they could develop a simple scene where someone finds out about a surprise birthday party, because a brother or sister gives it away beforehand. The last line could be: "You let the cat out of the bag." When the group is finished, have them show the idiom's literal meaning in the drawing, and then act out its figurative meaning in the skit. Have the group challenge their classmates to guess the idiom's figurative, or intended, meaning and then correctly use the idiom in a sentence: Nancy let the cat out of the bag when she told Nick about the surprise birthday party. When the whole class has understood how this activity works, assign a different animal idiom, with its figurative meaning, to other groups of students. Each group then works out its plan for making the drawing and acting out the skit. Have the groups take turns demonstrating their idioms to the class, so the class can guess the idiom's figurative meaning and use it in a sentence. English-language learner: Learning about idioms can be particularly helpful for ELLs because the gap between the literal meaning of individual words and the intended meaning of the expression often causes trouble in translation. Mnemonic strategies are systematic procedures for enhancing memory. The word mnemonic comes from Mnemosyne, the name of Greek goddess of memory. The keyword method, a mnemonic strategy, has been shown to be effective with students who have learning difficulties and those who are at risk for educational failure. According to the National Reading Panel, the keyword method may lead to significant improvement in students' recall of new vocabulary words. This sample lesson model targets two contextualized vocabulary words. The same model can be adapted and used to enhance recall of vocabulary words in any commercial reading program. Explain to students that you are going to show them how to use the keyword method, a useful strategy for remembering the meanings of vocabulary words. Tell them you are going to model the strategy twice, using the words archipelago and lunar. Read aloud the following sentence from "Alaska Adventure." The Aleutian archipelago stretches for more than a thousand miles. Then tell students that an archipelago is "a group of islands." Say: To help me remember the meaning of the word archipelago, a group of islands, I am going to think of another word, called a "keyword." The keyword is a word that sounds like archipelagoand also is a word that can be easily pictured. My keyword for archipelago is pelican. Pelican sounds like archipelago and is the name of a water bird with a very large bill. Explain to students that the next step is to create an image of the keyword pelican and the meaning of the target word archipelago interacting in some way. Tell them it is important that the keyword and the meaning actually interact and are not simply presented in the same picture. On the board, sketch a picture of a pelican flying over a group of small islands. Say: Look at the picture of the pelican flying over the group of islands. Say: Yes, archipelago. To recall the meaning of the word archipelago, imagine a pelican flying over a group of small islands. Tell students that when they see or hear the word archipelago, they should first think of its keyword and then try to remember the picture of the keyword and the meaning interacting. Say: Right, over a group of islands. English Language-Learners: Point out to Spanish-speaking ELLs that archipelago and archipélago are cognates. Instruction in specific types of context clues is an effective approach for teaching students to use context to infer word meanings. Baumann and his colleagues recommend teaching five types of context clues: definition, synonym, antonym, example, and general. This sample lesson model can be adapted and used to enhance contextual analysis instruction in any commercial reading program. Tell students that they can sometimes use context clues to figure out the meaning of an unfamiliar word they come across in their reading. Remind them that context clues are the words, phrases, and sentences surrounding an unfamiliar word that can give hints or clues to its meaning. Caution students that although these clues can prove to be helpful, they can sometimes be misleading. Give students copies of the Types of Helpful Context Clues chart. Briefly go over the chart, identifying the types of context clues and discussing the example for each one. Tell students that they should refer to the chart as they learn more about the five different types of context clues. A conga is a barrel-shaped drum. At night your can see constellations, or groups of stars, in the sky. Read aloud the first sentence. Say: I'm going to look for a context clue to help me understand the meaning of the word conga. Say: In the sentence, I see the word is. The word is can signal a definition context clue. Say: The phrase a barrel-shaped drum follows the word is. Underline the context clue in green. Say: A conga is a barrel-shaped drum. The author has given a definition context clue. For more information about vocabulary, browse the articles, multimedia, and other resources in this special section: Topics A-Z: Vocabulary. August, D., M. Carlo, C. Dressler, and C. Snow. 2005. The critical role of vocabulary development for English language learners. Learning Disabilities: Research & Practice 20 (L), pp. 50-57. Beck, I.L., M.G. McKeown, and L. Kucan. 2002. Bringing words to life:Robust vocabulary instruction. New York: Guilford. Calderón, M., D. August, R. Slavin, D. Duran, N. Madden, and A. Cheung. 2005. Bring words to life in classrooms with English-language learners. In E.H. Hiebert and M.L. Kamil (eds. ), Teaching and learning vocabulary: Bringing research to practice. Mahwah, NJ: Erlbraum. Chall, J., and E. Dale 1995. Readability revisited: The new Dale-Chall readability formula. Brookline, MA: Brookline Books. Cunningham, A.E. 2005. Vocabulary growth through independent reading and reading aloud to children. In E.H. Hiebert and M.L.Kamil (eds. ), Teaching and learning vocabulary: Bringing research to practice. Mahwah, NJ: Erlbraum. Cunningham, A.E., and K.E. Stanovich. 1998. What reading does for the mind. American Educator. 22, pp. 8-15. Graves, M.F. 2000. A vocabulary program to complement and bolster a middle-grade comprehension program. In B.M. Taylor, M.F. Graves, and P. Van Den Broek (eds. 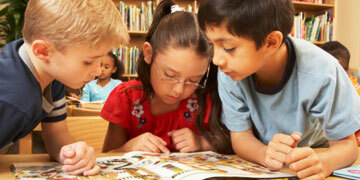 ), Reading for meaning: Fostering comprehension in the middle grades. Mew York: Teachers College Press. Kamil, M.L. 2004. Vocabulary and comprehension instruction: Summary and implications of the National Reading Panel finding. In P. McCardle and V. Chhabra (eds. ), The voice of evidence in reading and research. Baltimore, MD: Paul H. Brookes. Kamil, M.L., and E.H. Hiebert. 2005. Teaching and learning vocabulary: Perspectives and persistent issues. In E.H. Hiebert and M.L. Kamil (eds. ), Teaching and learning vocabulary: Bringing research to practice. Mahwah, NJ: Erlbaum. National Center for Educational Statistics. 2005. The condition of education. Washington, DC: U.S. Department of Education. National Reading Panel. 2000. Teaching children to read: An evidence-based assessment of the scientific research literature on reading and its implications for reading instruction. Washington, DC: National Institute of Child Health and Human Development. Schwartz, R.M., and T.E. Raphael. 1985. Concept of definition: A key to improving students' vocabulary. Reading Teacher 39, pp. 198-203. Scott, J.A., and W.E. Nagy. 2004. Developing word consciousness. In J.F. Baumann and E.J. Kame'enui (eds. ), Vocabulary instruction: Research to practice. New York: Guilford. Stahl, S.A. 2005. Four problems with teaching word meanings (and what to do to make vocabulary an integral part of instruction). In E.H. Hiebert and M.L. Kamil (eds. ), Teaching and learning vocabulary: Bringing research to practice. Mahwah, NJ: Erlbaum. Diamond, L. & Gutlohn, L. (2006). Vocabulary Handbook.Consortium on Reading Excellence, Inc. Reproduction of this material is prohibited without permission from the publisher. helped me with a presentation! Thank you! thank you so much for your good article. very useful article for my assignment. thank you so much. I'm studying for my mtel literacy specialist test and this is one of the best sites that I have come across thus far. The information is clear and concise and the instructional applications are great and ones that I will use in my own classroom. how do we say someone has mastered a word? nice references for my assignment. thanx. Amazing! I love the research based article which accompanies the lesson plan! This was a very imformative article! It is so nice to be able to easily find good information on the web! Very well structured. Laid out beautifully. A very informative easy to read article. An excellent helpful website to increase my reading/language instruction. This was perfect reference material for my assignment on "Vocabulary". simple instructions to follow and understand. Thank you. Very easy to read and clearly explained. this is the best web site I have ever read. exellent information along with examples! Useful, rich and clear information.